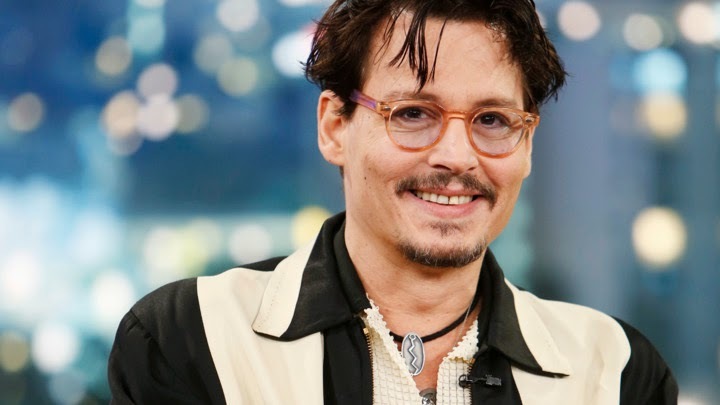 When a gig prevented Elvis Costello from making a recording session for Lost on the River: The New Basement Tapes – an album of "lost" Bob Dylan lyrics that Costello, Marcus Mumford and My Morning Jacket's Jim James, among others, have set to music – producer T-Bone Burnett found a worthy fill-in: Johnny Depp. The actor sat in on guitar for Costello during the recording of "Kansas City," according to NME, after stopping by the L.A. studio where the sessions are taking place to visit the producer. Burnett and the musicians, which also include Dawes' Taylor Goldsmith and Carolina Chocolate Drops' Rhiannon Giddens, have been working on the record since this past spring. The lyrics date back to Dylan's fabled 1967 stay at the West Saugerties house known as "Big Pink," where he and the Band recorded 30 songs that were heavily bootlegged until their official release as The Basement Tapes in 1975. During his time at Big Pink, Dylan wrote the lyrics to many songs that he did not record, so Burnett & Co. have taken it upon themselves to give the "new" songs music on Lost on the River and have set about recording an estimated 50 new songs (with overlap). Song titles include "Florida Key," "Card Shark," "Hi-De-Ho" and "Lost on the River." "These are not B-level Dylan lyrics," Burnett told the Los Angeles Times this past March. "They're lyrics he just never got around to finishing." Depp has been especially busy with music the last few years. Last month, he joined Aerosmith in Boston to play guitar on "Train Kept A-Rollin'," following up his appearance doing backup vocals on their 2012 album Music From Another Dimension. He also joined Willie Nelson in Boston, at a June concert, for performances of "On the Road Again" and "Crazy." Two years prior, he played with the Black Keys at the MTV Movie Awards, surprised an Alice Cooper audience at one of the shock rocker's L.A. gigs and crashed Marilyn Manson's headlining gig at the Revolver Golden Gods show. He also played guitar on a cover of Carly Simon's "You're So Vain" with Manson that year.